What should you know about colored diamonds? White diamonds range from D-color and can go all the way down the alphabet. 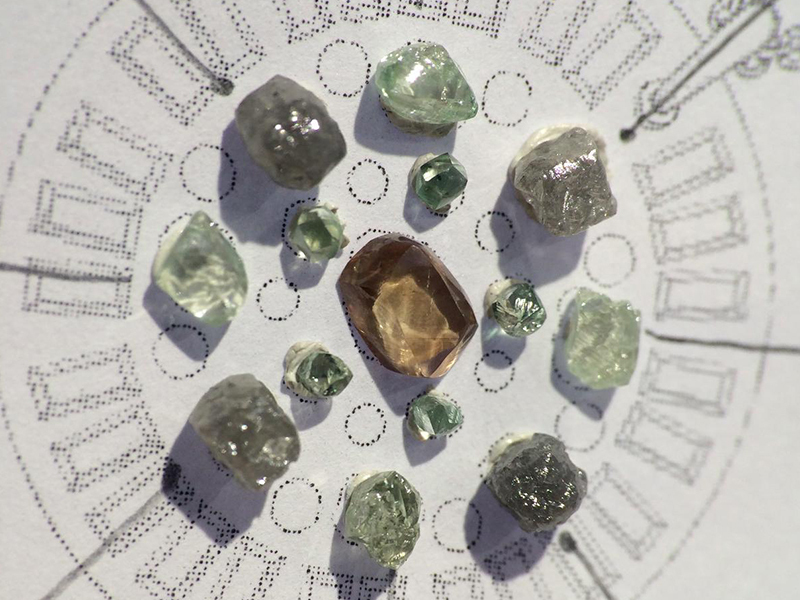 To grade a colored diamond is trickier. To find them is harder. 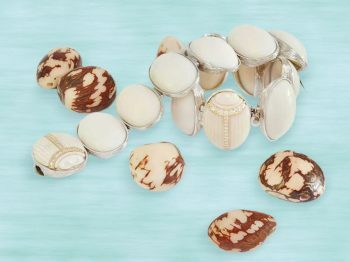 To buy them, it can be outrageously expensive. 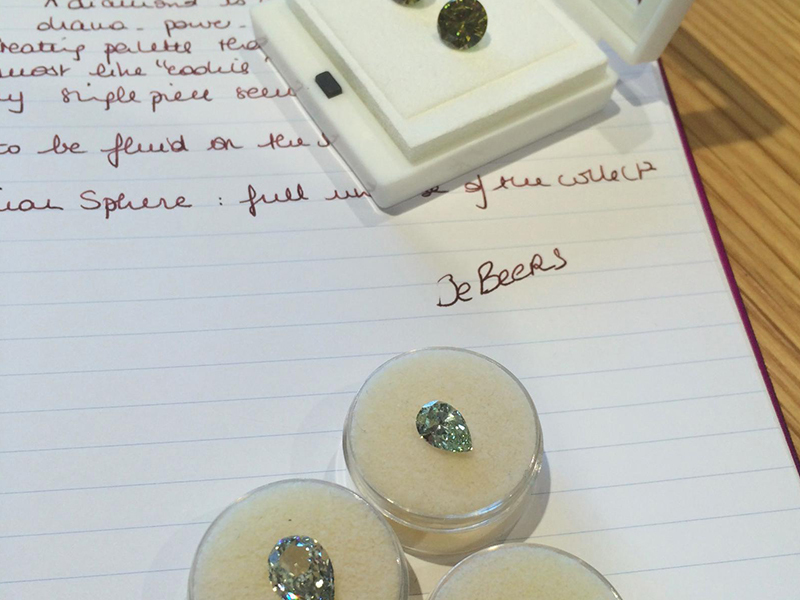 After spending a few hours at the De Beers headquarters in London a few weeks back, The Eye of Jewelry is coming back to tell you everything about colored diamonds. Mother nature is largest unsolved mystery in which resulted diamond beauties. With a rainbow array of colors, fancy colored diamonds seem to have an explanation for their colors. The youngest diamonds are 900 million years old and the oldest are 3.4 billion years of age , almost as old as the earth itself. All diamonds, including colored diamonds have travelled from a depth of at least 150 miles under the earth’s surface. When TYPE 2A stipulates the color of a white diamond on a GIA certificate it means that the precious stone has the finest D-color (first color grade in white diamond) with no sign of nitrogen whatsoever. 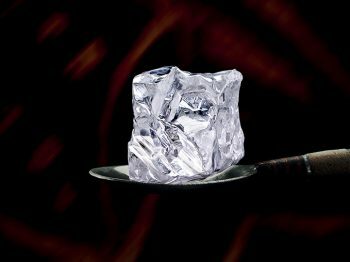 Indian diamonds have the reputation of being Type 2A. The G-color starts to show nitrogen to the naked eye with a pale yellowish diamond. For example, the same-sized diamond of a G color is 50% cheaper than a D color ; price varies in the case of rarity and not beauty. 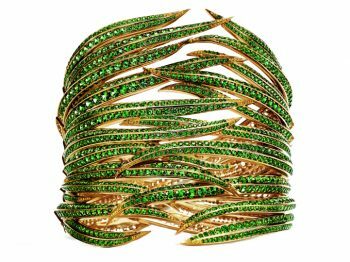 The lastest jewelry auctions that occured in Geneva earlier this month demonstrate how high fancy colored diamonds can sold for. Christies’ sold the 16.08-carat vivid pink diamond for $28.5 millions at a Chinese buyer while the 12.03-carat vivid blue “Blue Moon”, sold for $48.4 millions. 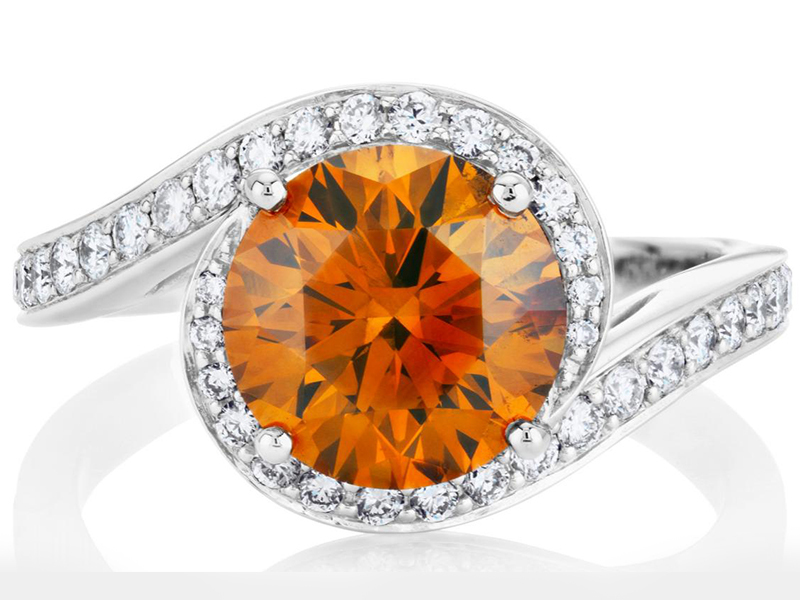 Stepping into the family of fancy colored diamonds – straight colors are way more expensive than any other mixed colors (orange-brownish… for example). 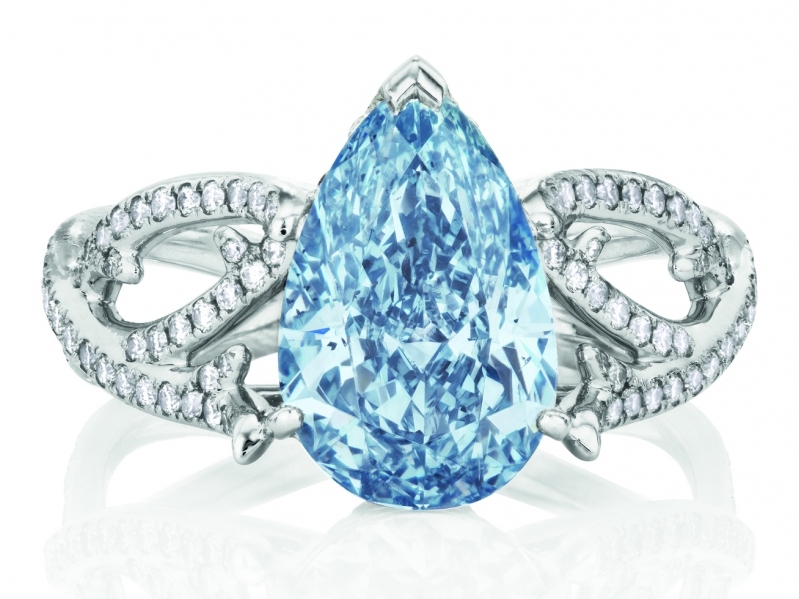 Blue diamonds or grey diamonds with a flash of blue – are the rarest and most expensive diamonds to be found. Their color is affected by the Boron mollecule and the electricity that goes through. Green diamonds have traveled from 150 miles under the earth’s surface and are exposed to natural radiation during their journey. Only polishing the green diamond will say if the radiation went all the way through. Natural green diamonds are extremely rare … and are often treated. Diamonds with shades of brown, pink or red means that during their journey they got stuck in high pressure under high temperature and their color appeared thanks to a twisting factor. The higher the pressure, the temperature and twisting, the deeper the red of the diamond will be. Mother nature plays and messes up everything. Diamonds that have a bit of everything are very difficult for the GIA to grade. Like a piece of art, colored diamonds are hard to grade but like a piece of art, they are unique and beautiful. Buying fancy diamonds can be tricky. Cheap is expensive in that case… think about when you want to resell the diamond, the certificate needs to specify that the diamond underwent no treatment enhancing the color (yellow diamonds are particularly subject to treatment.) If you are not an expert, fancy diamonds are a dangerous area to get into… and for the past ten years, there has never been that many buyers on the market. 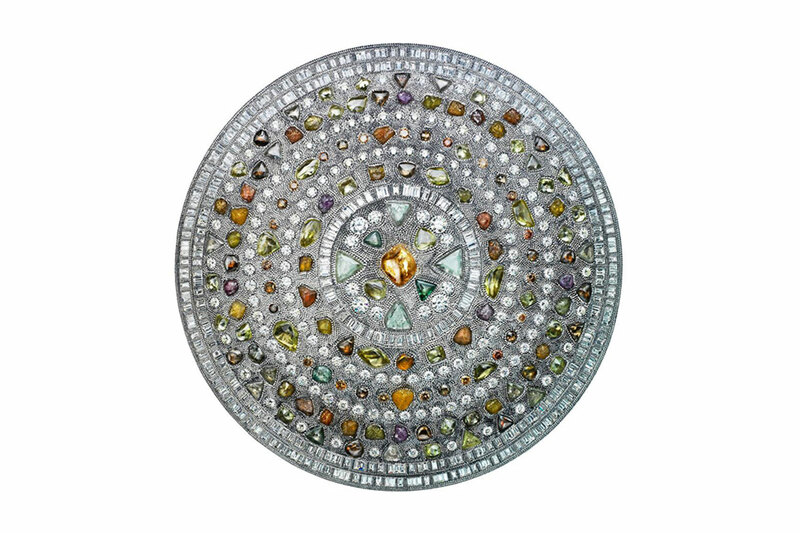 Fancy colored diamonds are the hallmark skill of DeBeers expertise in excellence. Beware and go to DeBeers you’ll be safe !